To label oneself as a daddy’s girl is like a badge of honor. For Je’Niece McCullough, this honor means so much more as an adult than it ever did as a little girl. Known as the daughter of the late-great comedian and actor, Bernie Mac, this Chicago native, divorcee and mother-of-one has struggled for years to maintain control of her life. Following the death of her famed father, Je’Niece experienced uphill battles that centered around family drama, depression and suicidal thoughts. Fighting to put the pieces of her life back together, Je’Niece learned lessons on faith, victory and self-love. Recently, Chicago proclaimed November 14th as "Bernie Mac Day" and Je'Niece continues to evolve into her father's legacy as a passionate speaker, author and spokesperson for Sarcoidosis. Learn more about Je'Niece in our exclusive THL interview discussing her personal journey on losing a loved one, and how she was able to find herself in the process. 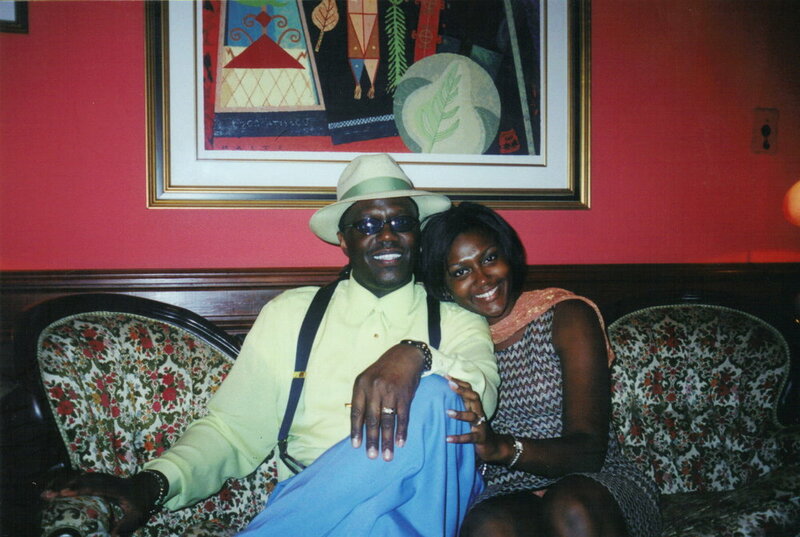 THL: You've said, “Once upon a time, I was so annoyed to be known as just Bernie Mac's daughter, now I feel like it's my ”badge of honor.” What does being his daughter mean to you today? Today being his daughter means legacy. For the longest time I didn’t understand what that really meant. It wasn’t until well after he died that I realized just how deep legacy goes. It keeps the circle of life going, and that is something I am honored to be able to do. I think becoming a parent myself helped me to really understand that. He lives because I still live. THL: How old were you when your father passed away and how did you initially feel? I was 30 when my father passed away, and I can only describe it as utter and complete devastation. My body went into shock. My dad was my center. He was like my compass, my guiding light. To go from having him there all of the time to no longer having him at all, made me feel empty. Everything that I thought I knew about life had completely changed. I tried finding ways to deal with what was going on. I didn’t know it at the time, but I was depressed. I even considered suicide. After he died I would sit in my parents basement, where his guns were (he was a proud carrying member of the NRA), and would just look at them and wonder what would happen if I just grabbed one and pulled the trigger. I figured I wouldn’t have to deal with anything anymore and it would all be over. To get away from those thoughts I began channeling all of my energy into my daughter. She was my reason for getting up in the morning. THL: As you went through the process of grieving, what did you learn most about yourself in terms of healing, strength and perseverance? I met myself for the first time. My entire life I walked around kind of disconnected from myself. I was always the kid who was all about pleasing everyone else around me. As long as my husband or parents were happy, I was happy; however, by the time my dad died I wasn’t happy at all. I no longer had anything or anyone to hide behind. My dad, this larger than life figure, was gone. My marriage had ended, and for the first time I was like, Hi Je’Niece, I’m Je’Niece, how are you? I learned how to take accountability for my life. I could no longer say well I’m not happy because of someone else. I was challenged to say, I’m not happy because of me. It was scary because it made me realize just how powerful I am in my own life. I wasn’t used to being powerful, I was used to being in the background. THL: What’s something you enjoyed doing with your father, that when you do it today, it reminds you of him? My dad was big on good food, good music and company. He enjoyed being around lots and lots of people. When I hear good music or see something funny I think of him. It wouldn’t be right not to think of him because laughter was such a huge part of him. THL: What life lessons did he leave you with, favorite saying or advice? He always had a new saying. When he came into a room he’d be like “Whatsup you L7s (square).” He always had some type of new phrase or new word. He also loved singing. I dare you to try and tell him he couldn’t sing. He swore he had a great falsetto. He was always funniest when we wasn’t trying to be. The normal conversations with him and just talking to him were the funniest times to me. THL: You previously played a prominent role in the Bernie Mac Foundation. What was that role? I served as vice president and during that time I put extreme pressure on myself to uphold his legacy. At the time I wish I had sat down and taken time to myself and grieved. My mom and I were using the foundation as a way to distract ourselves. We did way too much way too soon. THL: What is some helpful advice that you can share with an adult, or anyone, who is currently dealing with a sick parent or grieving the loss of one? Appreciate those moments, even throughout the illness. Be present instead of being so fearful. Your loved one is not looking at you to be strong for them, your presence is enough. This is easier said than done, but don’t think about if they’re going to die or not. To anyone who has lost a loved one I’d recommend that you focus on the love. THL: How do you recommend others help someone that is grieving? My biggest advice is that you don’t have to say anything at all. The people grieving don’t expect you to fix the grief for them. Let them cry. If you want to offer a hug, offer it. Silence is so okay. If all you do is show up and hold your friend while they’re crying, whatever it is, that action will speak loudly. THL: What projects are you working on that we can be on the lookout for? I have a compilation book called titled, Transition Creates the Life you Desire, which was written with 16 other women. We share stories of how we went from living the average everyday life to wanting to transition and live the life we desire. That is available on Amazon. 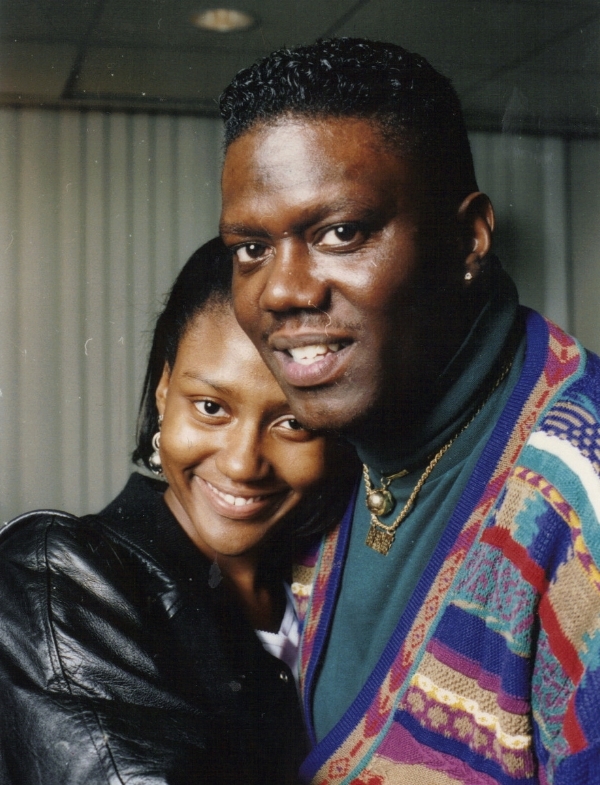 Je’Niece is the only child of Bernie Mac. Raised on the south side of Chicago, she attended several public schools in the city. A Who’s Who Among American High School Students honoree, she graduated from Morgan Park High School in 1995 and went on to Xavier University of Louisiana. In 2000, she received her B.S. in Psychology, and her M.A. in Mental Health Counseling in 2002. She worked for several years in social service. In 2005, she left the field and began working for her father as his assistant. They worked closely together until his death in 2008. After her father’s death, Je’Niece began working as Vice-President of his foundation, The Bernie Mac Foundation. While working for the foundation, she unlocked her hidden gift of speaking. She has been a featured speaker for several events including The Black Women’s Expo, Heart & Soul Women of Excellence Awards, Everest College’s 2012 Commencement Program. She has since stepped down as Vice-President of the foundation, but continues to speak regularly throughout the country on issues such as women empowerment, Sarcoidosis awareness, and overcoming depression. She has appeared on several news outlets, television shows and documentaries. Je'Niece has always loved the written word. She has written her entire life and has been published in several magazines. She has been featured in several publications, including Today’s Black Chicago Woman and Ebony magazine. Je’Niece lives in the south suburbs of Chicago with her daughter, Jasmine.